Jesse Lamont Watkins was born on the 18th January 1969, in Rocky Mount, Virginia USA, and is a film, television and theatre actor, whose most famous role is probably that of Detective Ed Green in the TV crime series “Law & Order” (1999 – 2008). Martin has been active in the entertainment industry since 1993. 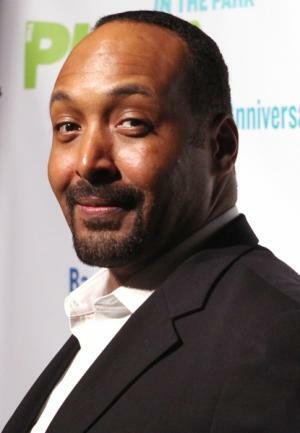 How much is the net worth of Jesse L. Martin? It has been estimated by authoritative sources that the overall size of his wealth is as much as $10 million, as of the data presented in late 2016. Acting is the main source of Martin’s net worth. To begin with, he was raised in the Blue Ridge Mountains, the youngest of five children born to the family of truck driver Jesse Reed Watkins and college counsellor Virginia Price. His parents separated when he was still a child and he took the surname of his stepfather. During his primary school days his new family moved to Buffalo, New York, where due to his distinct Southern accent, Jesse was quiet and shy at school. However, a teacher persuaded him to take a role in a school theatre performance of the fairy tale “The Golden Goose”; he was given the role of a pastor and played it with his accent as a minister of the Southern Baptist Convention. After matriculating from high school, he enrolled into the Buffalo Academy for Visual and Performing Arts, in which he was elected as the most talented actor in his final year. Afterwards, he studied at the Tisch School of the Arts of New York University. After graduating, he went to the John Houseman theatre company and immediately started touring, playing on the stages of Actors Theatre of Louisville and the Cleveland Playhouse among others. After returning to New York he stepped onto smaller stages, but he was seen in soap operas and commercials too. After some time, he received roles on Broadway in award-winning pieces, and from 1998 he landed roles in independent films and in a short broadcast series. During a Broadway production he was seen by David E. Kelley, who was looking for an actor for the role of a new lover for the main character of the series “Ally McBeal”, and as a result, he played the role of Dr. Greg Butters. In addition, he appeared in the series “The X-Files” (1999). While still working in the series of “Ally McBeal”, he heard that Benjamin Bratt was leaving the series “Law & Order”, and Jesse asked the producers of the series to be considered for the role of Detective Ed Green, and got the role, which he subsequently played from 1999 by 2008. Meanwhile, he appeared in the independent film “The Cake Eaters” (2007) by Mary Stuart Masterson, the romantic independent drama film “Peter and Vandy” (2009) by Jay DiPietro, musical comedy drama film “Joyful Noise” (2012) by Todd Gradd, as well as other films. Since 2014, he has embodied the detective Joe West in the series “The Flash”. Finally, in the personal life of the actor, he is apparently still single. Currently, he resides in Manhattan. Place Of Birth Rocky Mount, Virginia, U.S.
1 From Men's Health: Trusting my own instincts has led me to great places. When I was younger, someone telling me I couldn't do something was like saying, 'Try.' You get mad at them and yourself, because they make you think, I don't know if I really can do it. Maybe they're right. Then the anger feeds you, and next thing you know, you've done exactly what they said you wouldn't do, and a little more. 2 From Men's Health: Go back to what's good, what's certain, what's always there. You woke up today. Just start walking. Whatever it is, it'll pass. Time doesn't go backward. That's the one real blessing. It happened; it does you no good to worry. Keep it movin'. 3 I want to be remembered as a great actor - and a shining example of humanity. 4 I honestly believe there are good things happening in this world, and I'll spend most of my time trying to find them and bring them to light. 5 From people magazine 2000: "Real men know how to listen, and real men know how to be honest." 1 He has played the same character (Detective Ed Green) in five different television series: Law & Order (1990), Law & Order: Special Victims Unit (1999), Law & Order: Criminal Intent (2001), Law & Order: Trial by Jury (2005) and Andy Barker, P.I. (2007). 2 He and Ani Difranco graduated from high school, together. 3 Attended the prestigious Lee Strasberg Theatre & Film Institute. 4 Returning back to Buffalo, N.Y., to work on an independent film, in October of 2006, his luggage was stolen from an SUV as he signed autographs in a restaurant. Martin's belongings have not been returned. 5 The storyline of "Detective Ed Green" being shot in the line of duty was written into the Law & Order (1990) script so that during his "recovery", Jesse could be in San Fransisco to film Rent (2005). 6 On April 2, 2006, Martin was a featured guest at the awards ceremony of the SunDeis Film Festival at Brandeis University. Martin, introduced to a standing ovation, presented his Law & Order (1990) co-star S. Epatha Merkerson with the first-ever SunDeis Entertainer of the Year Award, the highlight of the festival weekend. 7 Tom Collins and Angel Dumott Schunard, his character and character's boyfriend in Rent, take their last names from their characters counterparts in La Boheme. Tom Collins (known simply as Collins) is based on Colline, and Angel is based on Schaunard. 8 In Law & Order (1990), he works with Jerry Orbach, who played "Billy Flynn" in the original cast of "Chicago". In "Rent", (play and film) he works with Taye Diggs, who played the band leader in the 2002 film, and briefly played "Flynn" himself in late 2002 during the Broadway revival. 9 Currently preparing two one-man shows: "Fiend" and an untitled piece based on the life of Marvin Gaye. 11 Worked at the Moondance Diner in New York City with Jonathan Larson. 12 Accompanied Jerry Orbach's widow Elaine to the 2005 Tony Awards. 13 Appeared in episodes of three different series with Jerry Orbach: Law & Order (1990), Law & Order: Special Victims Unit (1999) and Law & Order: Criminal Intent (2001). 14 Performed the song "Razzle Dazzle" from the musical "Chicago" at the 2005 Tony Awards just as the "In Memoriam" section of the show was finishing. The last photo shown during the memorial was that of Jerry Orbach, who was both Martin's costar on Law & Order (1990) and the first person to perform "Razzle Dazzle" in the original Broadway production of "Chicago". 15 Has appeared in episodes of three different television series with Sam Waterston: Law & Order (1990), Law & Order: Special Victims Unit (1999) and Law & Order: Trial by Jury (2005). 16 Along with Jerry Orbach, Fred Dalton Thompson, Carolyn McCormick and Leslie Hendrix, he is one of only five actors to play the same character (Detective Ed Green) on all four New York City-based "Law & Order" series: Law & Order (1990), Law & Order: Special Victims Unit (1999), Law & Order: Criminal Intent (2001), and Law & Order: Trial by Jury (2005). Rent 2005 performer: "Seasons of Love", "Rent", "Today 4 U", "Life Support", "Another Day/No Day But Today reprise", "Will I? ", "Santa Fe", "I'll Cover You", "La Vie Boheme", "Goodbye Love", "Finale B/No Day But Today", "Seasons of Love B Reprise", "La Vie Boheme B Reprise", "I'll Cover You Reprise/Seasons Of Love"
The 59th Annual Tony Awards 2005 TV Special performer: "Razzle Dazzle"
Rocky Horror 25: Anniversary Special 2000 TV Movie performer: "Science Fiction/Double Feature"
The 54th Annual Tony Awards 2000 TV Special performer: "A Tony Opening"